While I think the canopy itself is a great thing, and very useful for protection of the (sloping) front door, I am not happy with the poles. They tend to flex a bit, and I sometimes need a wrench to get the parts 'unstuck'! 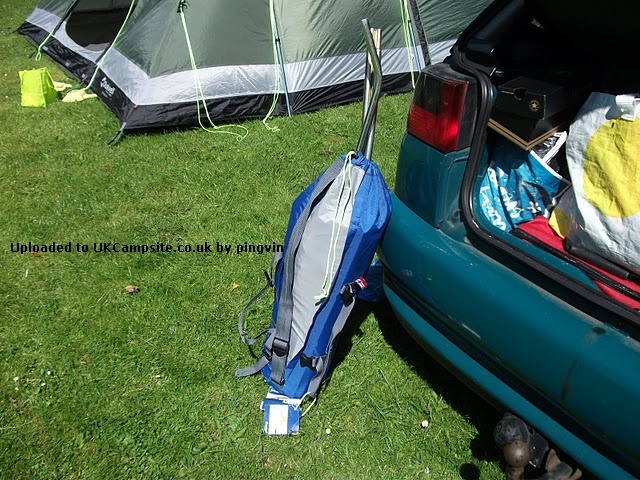 The poles also seem to be a bit thinner and weaker than the tent poles. Maybe one of the reasons, why the canopy is discontinued. Don't leave home without one! This gives a fantastic additional/usable area during any type of weather. It means that you can keep the front door open even in the rain. We used it most days/nights for enjoying the ever changing British weather. Very easy to erect. I don't understand why Outwell have stopped making such a great piece of kit. Having used this for the first time I would recommend this for your Monty 6. We have had some mixed weather, very hot to heavy rain and the canopy comes in handy for all weathers. When hot it creates a shaded area to sit under, when its raining it keeps the rain away from the large door at the front. This is a definite must have along with the carpet. We purchased our Monty Aug 07 then the canopy earlier this year. We've used our canopy 3 times now and a good addition, we use ours to cook under and it keeps the rain of the front door so this can be left open when warm. Easy to put up and pack away. I think we will get the extension next. This extension is an excellent addition to the Montana 6, it is very easy to erect and gives superb space for cooking and sitting if the weather decides to break. It also give extra living space and shade. I would not leave home without it. 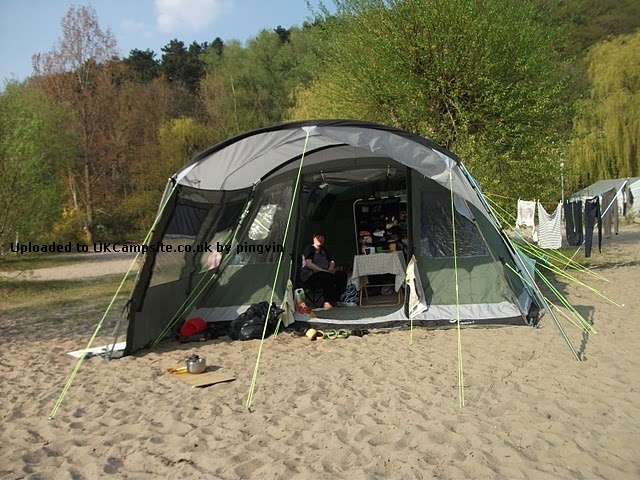 We bought the canopy when we bought the tent and it has proved invaluable abroad. Again it stood rock solid against horrendous ice storms without so much as a rip or a loose peg. We found that unlike in the UK where our weather is so changeable, we were able to sit outside the tent most days in both the Auvergne and the Alps and this is where the canopy came into its own. It stopped the sun beating down on us directly very effectively and combined with the Monty 6 made for a massive seating area, either inside or out. Add your review of the Montana 6 Canopy! This Montana Front Canopy provides additional shelter in front of the Montana 6 giving a great place to sit and relax along with some protection from inclement weather. 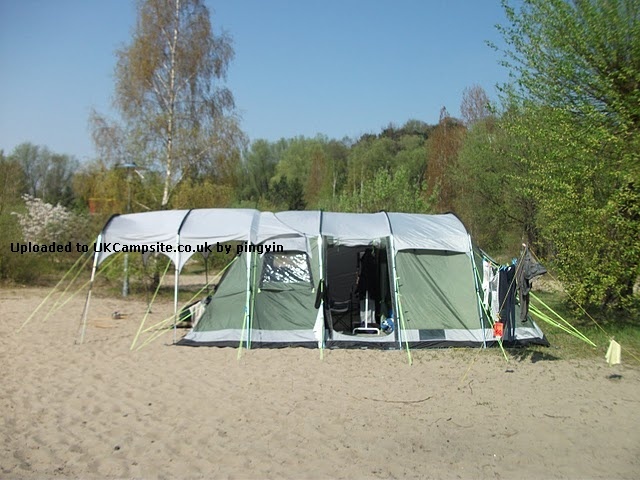 Specifically designed for this tent it can be connected to the front making it the ideal choice for the active camper.